Rapid acquisition of electronic warfare capabilities served an urgent need, and in the process set an award-winning example of phased prototyping, experimentation and fielding with creative resourcing. In March 2014, before the rest of the world could react, Russia invaded Crimea, then annexed the region, a peninsula at the southern end of Ukraine. Russia’s subsequent actions in Ukraine revealed electronic warfare (EW) capabilities that not only overwhelmed Ukraine but could rival those of the United States. The U.S. Army Europe (USAREUR) commanding general at the time, Lt. Gen. Ben Hodges, determined that electronic warfare was a critical strategic gap and pushed an operational needs statement to the Pentagon for quick action. In response, the Army moved electronic warfare to the top of its list for rapid acquisition and endorsed a new approach—phased prototyping, experimentation and fielding—that would incorporate Soldier feedback throughout, infuse new technology as it became available and quickly deliver incremental upgrades to reduce operational risk while informing program-of-record (POR) capabilities currently under development but not yet ready for fielding. This strategy required a creative resourcing approach that combined existing funds, reprogramming actions and a new rapid prototyping program, and ultimately entailed more than 100 separate contract actions. To formulate and execute the plan, the secretary and chief of staff of the Army tapped the then-newly formed Rapid Capabilities Office (now the Rapid Capabilities and Critical Technologies Office, or RCCTO) and the Project Manager for Electronic Warfare and Cyber (PM EW&C), part of the Program Executive Office for Intelligence, Electronic Warfare and Sensors (PEO IEW&S), to lead the execution of the project, working directly with operational units such as the 2nd Cavalry Regiment in Europe. Less than a year after the project’s approval, the Army fielded new electronic warfare prototypes to select units in Europe, giving Soldiers the ability to implement electronic protection for their own formations, detect and understand enemy activity in the electromagnetic spectrum, and disrupt adversaries through electronic attack effects. 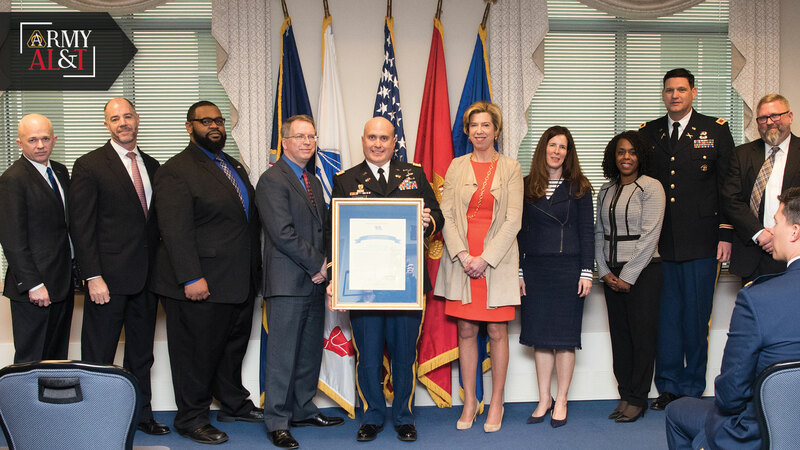 For their efforts in addressing this urgent operational need, the RCCTO and PM EW&C received the 2018 David Packard Excellence in Acquisition Award. The Packard is DOD’s most prestigious acquisition team award. It is given annually to a few select recipients across the armed services and defense agencies for significant contributions demonstrating exemplary innovation and best acquisition practices. The award-winning effort required teamwork, innovation, a user-centric attitude and a willingness to accept that the prototypes being fielded were just that. They were not completely perfect solutions, but instead incremental advances, with the capability improving at each step as the effort progressed. 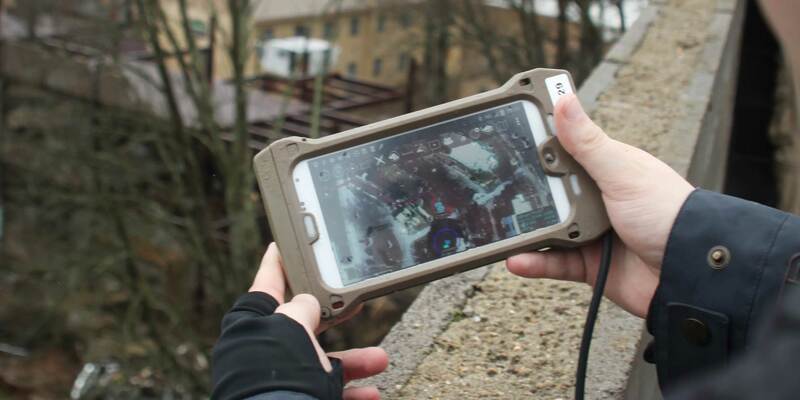 In this post, you’ll read about several of the key players who made the Army’s electronic warfare project a Packard Award-winning reality. However, they are only several of many. Scores of people within the organizations contributed to the success of the project, as did many other individuals and organizations across and outside DOD who were brought in to find new ways to successfully expedite the traditional acquisition process. From EW officers to Army headquarters staff, from cybersecurity experts within the Office of the Assistant Secretary of the Army for Acquisition, Logistics and Technology (ASA(ALT)) to the U.S. Army Test and Evaluation Command, from the Army’s Rapid Equipping Force to industry partners and many others, the achievements leading to the Packard were a team effort that reflects the best of what the Army can do when the stakes are high. Here is a look behind the curtain. “Commanders are severely limited in what they can bring to the electromagnetic spectrum fight. 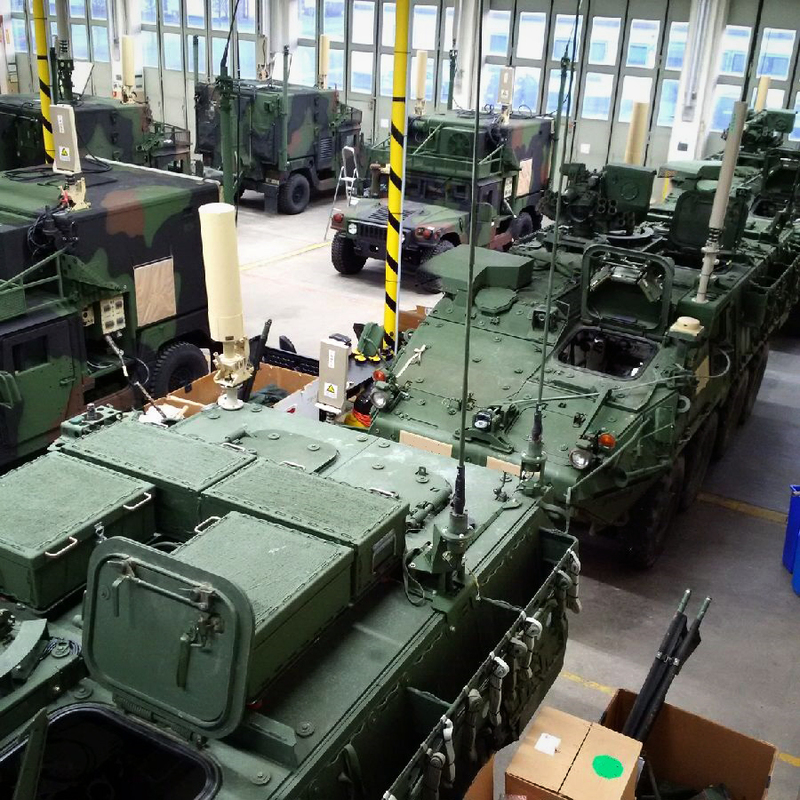 These limitations and lack of options are driving the operational need for EW capabilities.” The operational needs statement (ONS) from U.S. Army Europe “became part of the larger materiel development strategy by design. It provided a mechanism from which to rapidly equip forward presence and rotational forces with initial capabilities, then iterate those based on direct user feedback. What are the next steps for the effort? “The ONS for Europe maintains the ongoing effort until the POR comes on board. We have already provided an initial capability and are on schedule to provide a Phase 2 capability in FY19. This new capability will provide a significant improvement over Phase 1 while informing both the development of the POR and the Army’s decision-making on fielding quantities and timelines. 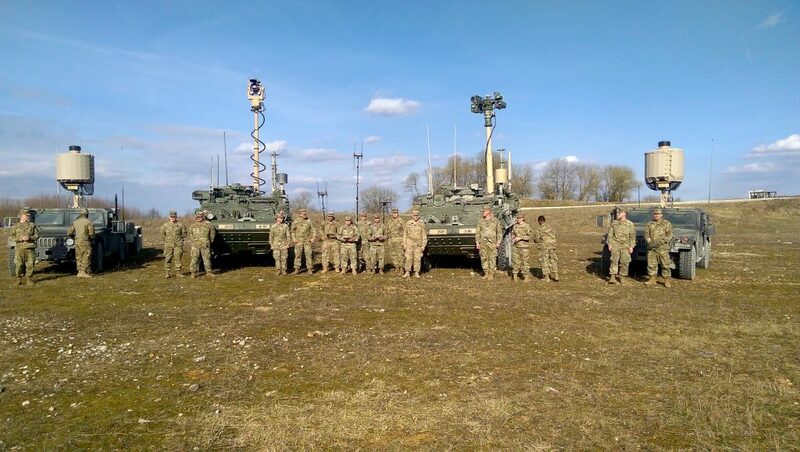 Soldiers from the 2nd Cavalry Regiment (2CR) tested several electronic warfare prototypes, including the Counter-Unmanned Aircraft System Mobile Integrated Capability, a mounted system that combines electronic warfare, radar and optic capabilities to detect, identify and defeat unmanned aerial threats. “This rapid prototyping approach dictated an agile, adaptive business model. That meant the two business teams had to come together and determine how much the effort would cost, what type of funding was needed, what contract vehicles should be used and what resources were available. What contracting mechanisms were used? “The business teams worked together to develop a funding strategy to ensure the effort was fully funded. Initially we reallocated existing funds for this effort. We also utilized mechanisms such as below-threshold and above-threshold reprogramming actions. We successfully applied for and received funding from the Office of the Secretary of Defense Rapid Prototyping Program. To meet a very tight timeline for delivery, we also worked closely with [the U.S.] Army Contracting Command, as well as the Navy and Air Force contracting commands, for select contracting actions. NANCY JONES-BONBREST is a public communications specialist for RCCTO. She has written extensively about Army modernization and acquisition for several years, including multiple training and testing events. She holds a B.S. in journalism from the University of Maryland, College Park. JOHN HIGGINS is a public affairs writer for PEO IEW&S. He is an Iraq War veteran and former public affairs Soldier. He holds a B.A. in film production from Towson University. CLAIRE HEININGER is the public communications lead for RCCTO and has written extensively about Army acquisition topics. She holds a B.A. in American Studies from the University of Notre Dame and is a former politics and government reporter for The Star-Ledger, New Jersey’s largest newspaper. She is Level II certified in program management.